Welcome to our Official Club Web Site. We are a non-profit coporation and our main emphasis is grooming Snowmobile Trails. 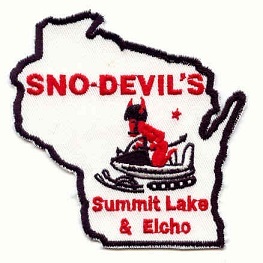 Our meetings during the months of(Sept.-May) are the 2nd Monday of the month at 7:00 p.m. at the Sno-Devils Community Building in Elcho, WI. Special meetings which are listed under activities and during the summer months(June-August) we don't have regular meetings. Please see our trail conditions page for changing trail conditions. Monday April 8th at 7 p.m. is our Annual Election meeting at the Sno-Devils building in Elcho. Please attend to vote for the most qualified and discuss important issues for next season. We also need to determine a destination for our club ride in 2020 and discuss some day rides. If you can't attend, send an e-mail or letter to give your input. Remember it's YOUR club. A BIG THANKS to ALL our groomer operators, the trails this year were in excellent condition. Thanks to the following members for recent help with brushing and packing the swamps: Dave Konen, Colin Timmig, Tony Stenz, Dennis Stenz, Dylan Grube, Kelly Stenz, Evan Stenz, Eric Bowman, Brian Paramski, Kevin Ashby, Mike Ramuta, and Pete Pukal. Membership renewals are to be received BEFORE October 31st. We process them in batches as as large as possible due to transaction fees. Please start sending in memberships renewals the month of September, renewals received after October 31st require a $3.00 late fee. Please watch for announcements that our dues will be going up. Your AWSC number/membership number doesn't change from year to year. We won't be mailing membership cards separately due to postage costs, they will be mailed with the next newsletter. You can pay for your membership via the donation button on this web page, please put all your membership info in the notes section of the donation and Please add $1.00 for transaction fees. are, this is because of our volunteers and having good equipment. in our fundraisers to keep your trails groomed. Our 2019 Tucker is here! 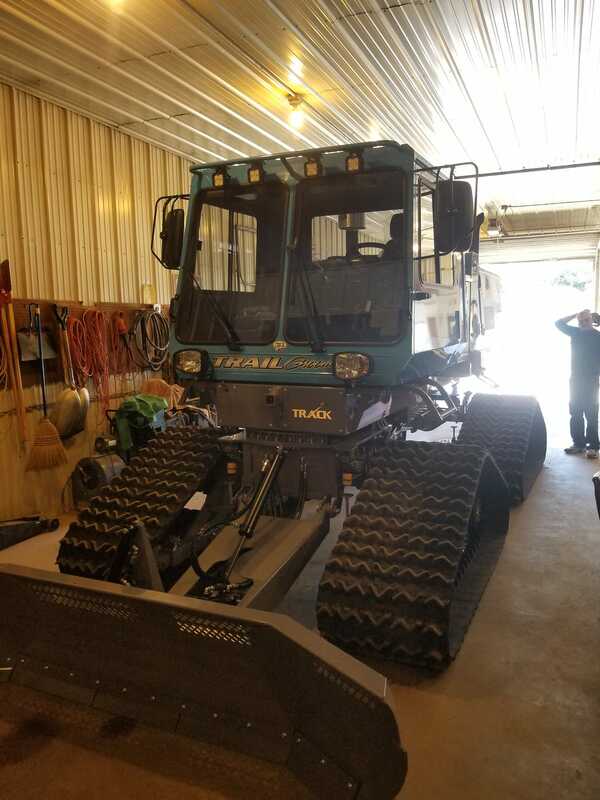 Click HERE to see some pictures of our grooming equipment. We had a great Landowners Dinner this year at Bass Lake Country Club with excellent food and great attendance. We want to thank the many local businesses that donated door prizes for our Landowners. from 11 a.m. until 3 p.m. Refreshments and food will be available. One of our Club Members has a house on Bass Lake for rent, you can view the details here. Our next meeting is Monday, March 11th at 7:00 p.m. at the Sno-Devils building at N11301 Riordan St. Elcho, WI. 54428. That address doesn't come up properly on google maps, so if you paste this into your gps 45.438522, -89.179488 you will be very close. Attend a meeting and get to know some of your fellow club members! All of our meetings are the 2nd Monday of the month. We are a 100% AWSC club, please visit their web site HERE to see what they do for us! For info on the new Wisconsin Trail Pass click HERE . This new program will put some much needed funds into our state snowmobile program fund and should attract some new members also. Our trails have been great! Please donate to help us buy a new Tucker! And keep our 2 other Tuckers running OR buy our volunteer drivers dinner. Or pay for a membership, please provide all the necessary information. WE DO NOT SELL TRAIL PASSES!! !